A tribal council member said at the time that there had been 10 meth-related deaths on the reservation since November. That’s in a population of about 2,500 reservation residents. "To me this is a little bit worse than Iraq," says Catcher Cuts The Rope, an Iraq war veteran who moved back home to Fort Belknap about three years ago. "I’ve got four kids. What the hell do you think? You’re goddamn right I’m scared, but I’m sick of being scared." Cuts The Rope says the local drug crisis is out of control. "I came out here to garden and to hunt and to pray and try to find myself from the war – and I have. But I didn’t realize that people were going to come to me with tobacco and the Old Way to say, ‘Hey, could you please help my daughter? She’s a slave to this meth dealer. I don’t know what to do." So he decided to personally confront local meth dealers. He’s faced worse. Cuts The Rope was seriously injured by a suicide bomber in Fallujah. "My initial reaction wasn’t good. I was very angry and I took it to them the Marine Corps way. I was very heavy handed and it didn’t work. Violence does not solve anything." Cuts The Rope says he’s now changed his approach and hopes the local drug crisis eventually unites the community. 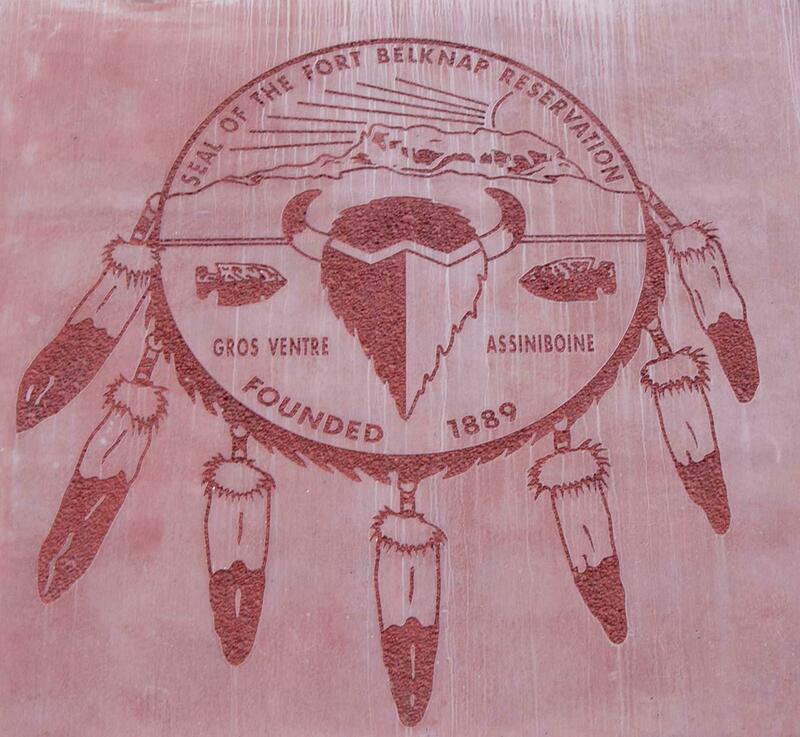 Fort Belknap’s tribal council is in the early phases of an action plan to fight meth. It’s funded by a $150,000 grant from a local employer, Island Mountain Development Group. "They’re just very fidgety and skinny," Healy says. "Their eyes are big and dilated. They usually have poor hygiene and a twitch to them. You can really point it out." The new Aaniiih Nakoda Anti Drug Program Healy is working with is focusing its effort on treatment, law enforcement and prevention efforts. She says the need is obvious. "When you walk into a grocery store, or when you go to a basketball game - or whatever - you notice someone who’s high." "We’re aunt and uncle to everybody," Kirk says. "We have kids of all ages from all over the neighborhood, even as young as six years old. (They’ll say) ‘Auntie, I don’t have nothing to eat. My mom and dad didn’t buy food this month.’ They know what meth is. That shouldn’t be normal for a child." Kirk and Healy say locals turn to meth for different reasons; boredom for one. They say there’s simply not a lot to do around Fort Belknap. Some teenage girls use it for weight control. They both say that poverty and cultural oppression are contributing factors. 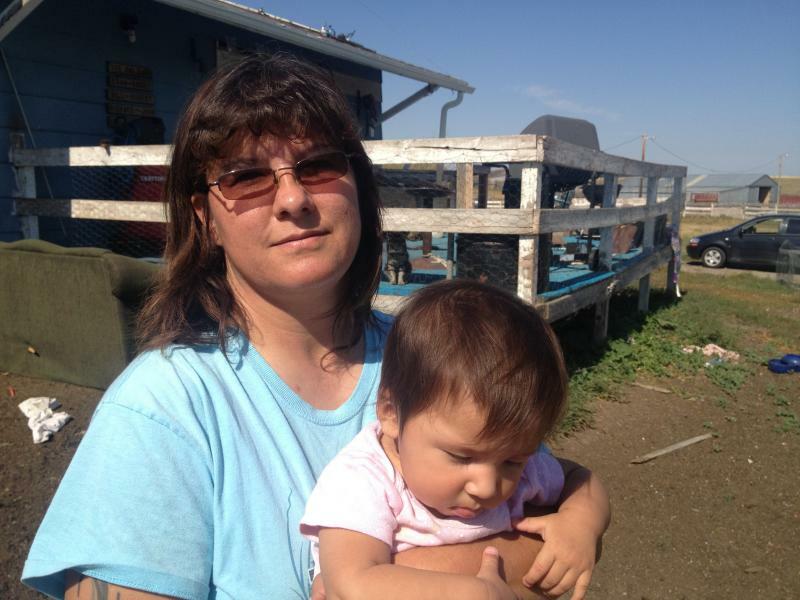 Wylynn Shambo, a 37-year-old reservation resident says she understands what drives people to try meth. "Maybe they had a hurtful past; separation, divorce. They use the drug and it makes you forget about things for a while," Shambo says. Shambo herself started using meth back in 2005. "The very first time I can remember so clearly. I remember one person telling me, ‘Just try it once. You’ll never get hooked. Don’t be loser, just try it once.'" "It was a different kind of feeling where life was different. You think you’re Superwoman or Superman. It numbs. Numbs the pain." But Shambo’s involvement with local drug users caught up with her. She did three years in a California prison on a possession with intent to distribute conviction. She lost her house, her job and her kids were taken from her. "At the time I didn’t think it was serious," Shambo says. "I was using drugs. And then I was incarcerated. That’s when it all hit me. I was away from my kids. I missed out on three years of their lives. I’m still dealing with a lot of resentment my kids have towards me." Shambo managed to kick meth thanks to a prison substance abuse program. She’s gone on to earn a degree in Natural Resources, and now holds a steady job and is rebuilding her life. But it’s not easy. She says she sometimes feels the urge to use again. She says she turns to her cultural and spiritual foundations to rise above those urges. When a tribal member gets busted for meth, one outcome is for them to be ordered by the courts to enter a treatment program. But actually getting into treatment center can be pretty hard. Joseph Gone is an enrolled member of the Gros Ventre tribe, from Fort Belknap. 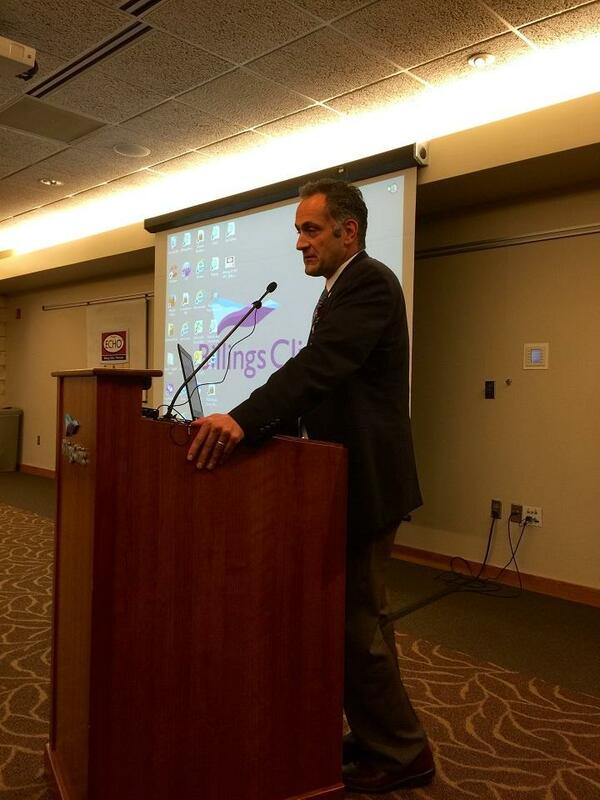 He’s also a clinical community psychologist who’s on faculty at the University of Michigan. 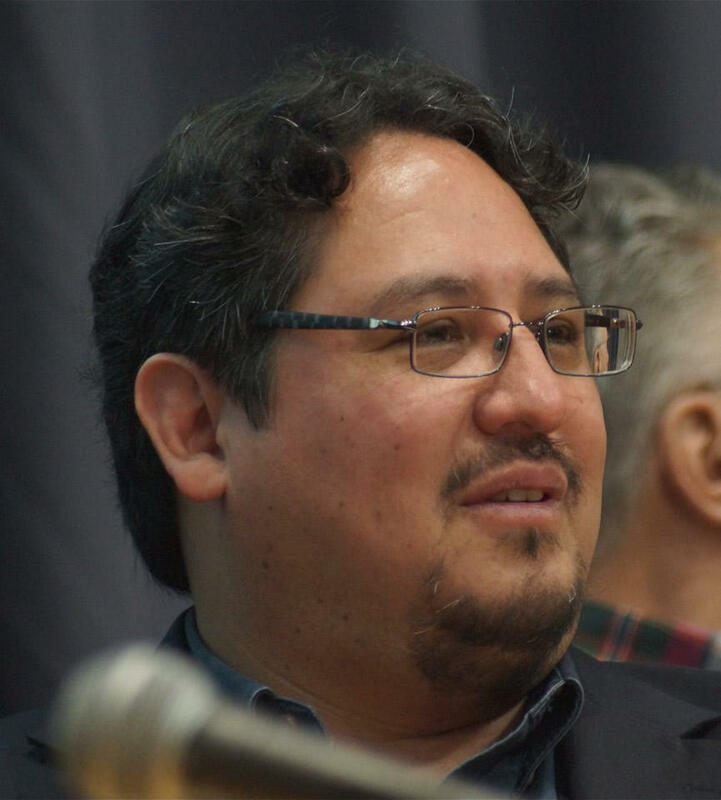 He has published research on addiction treatment for Native Americans. Gone says, when it comes to getting access to addiction treatment, Indian people are often at a big disadvantage. "Federally funded services for Indians are almost inevitably, everywhere you go, deeply underfunded, " Gone says. "So, resources for substance abuse treatment, as part of the Indian Health Service federal budget in a given year, are a fraction, a tiny fraction of what would be necessary to meet the addiction and wellness needs for tribal communities. And what that means is, the ability to hire and pay staff what they truly deserve, the ability to support clients in the way that might maximize their ability to benefit from the services, is in many respects quite hamstrung." Gone says that although federal funding for substance abuse treatment doesn’t match the demand for it in Indian Country, the tribe at Fort Belknap has taken what he says is a positive step. It runs its own addiction treatment programs, tailoring what resource are available to meet local needs and cultural preferences. But, Gone says, people living on the Fort Belknap reservation generally have fewer treatment opportunities than are available elsewhere in the state. "Fort Belknap is a community that struggles with poverty, as so much of Indian Country does, given the history of the colonization of Native American people. Many of the institutions and services that are available in more concentrated settings, where there are more resources available, are not going to be as readily available to someone living in a reservation setting. Any time you’re in a concentrated or urban or city environment, chances are you’re going to find a range of possibilities, so you can sample different things, and try to find what works for you. As opposed to in a rural and impoverished setting where resources are really strapped, there’s not going to be as many options to draw from to draw from in the effort to try to solve your problem." People from Fort Belknap, and the rest of the state, can get treatment at a handful of residential addiction centers in Montana. There’s a state program in Butte, and private providers in Billings and Kalispell. The only tribal in-patient addiction treatment center in Montana is on the Blackfeet reservation. All those facilities commonly have waiting lists, and funding from the Indian Health Service to send tribal members to them often runs out just a few months into every fiscal year. "So much of this is really about the resources that are available to offer high quality treatment, and when you’re really squeezing blood from a turnip, it’s hard to count on the most beneficial outcome. It would work a lot better if there were more resources to invest in quality treatment in a reservation setting." "The single best intervention, or treatment, if you will, for addiction problems on Indian reservations would be a terrific job growth program. Because, any kind of community that’s in poverty means that people have trouble finding opportunities to make a living, provide for their families, and find purpose in all that they do. I think in a generation you could see a transformation in the addiction profile of any given impoverished community if you had jobs available for people who wanted to work to be able to get some work done. It’s in settings where there aren’t those kinds of possibilities where addiction can rise to be a kind of problem that requires a state of emergency, and where resources are already so scant that it’s hard to be terrifically optimistic that these things can be turned around without an infusion of greater resources." State and tribal authorities are hopeful that the Medicaid expansion launched in Montana January 1 will result in more addiction treatment opportunities in the state, but many say it’s too early to tell exactly how that might play out. 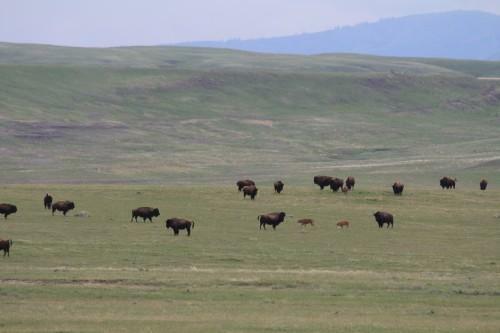 Tribal and state officials Wednesday said no contagious disease killed 19 bison on the Fort Belknap Reservation in July. The animals were part of a herd of 56 "genetically pure" bison transferred to the reservation from Yellowstone National Park earlier this year. A small herd of genetically pure Yellowstone National Park bison transported to the Fort Belknap Indian Reservation late last month are creating tension between the tribes and landowners adjacent to the animals’ enclosure. The number of child abuse and neglect cases in Montana is weighing down the state’s already burdened court system. 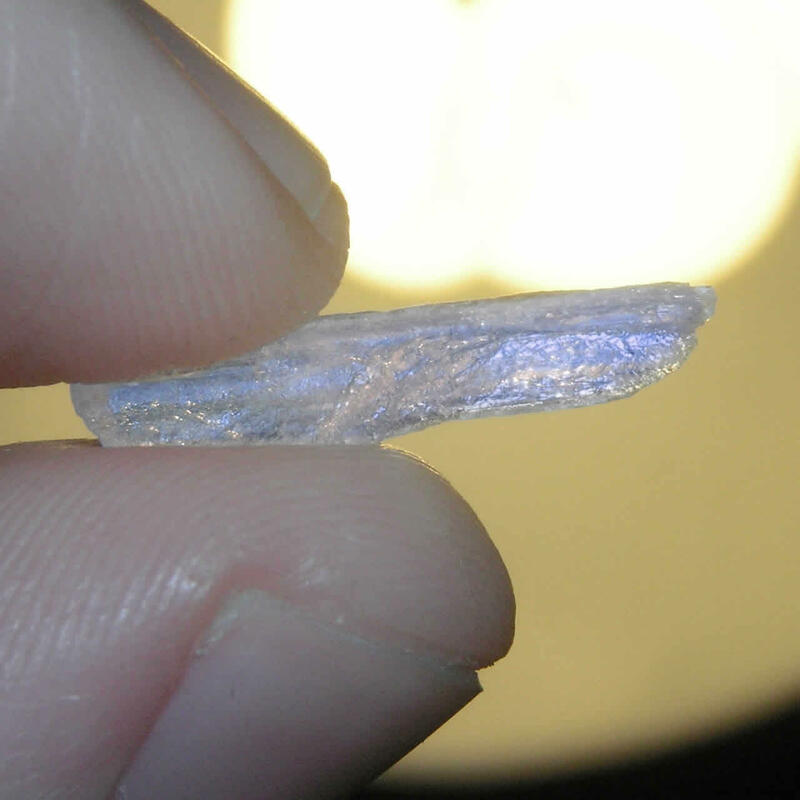 Is Meth Making A Resurgence In Montana? 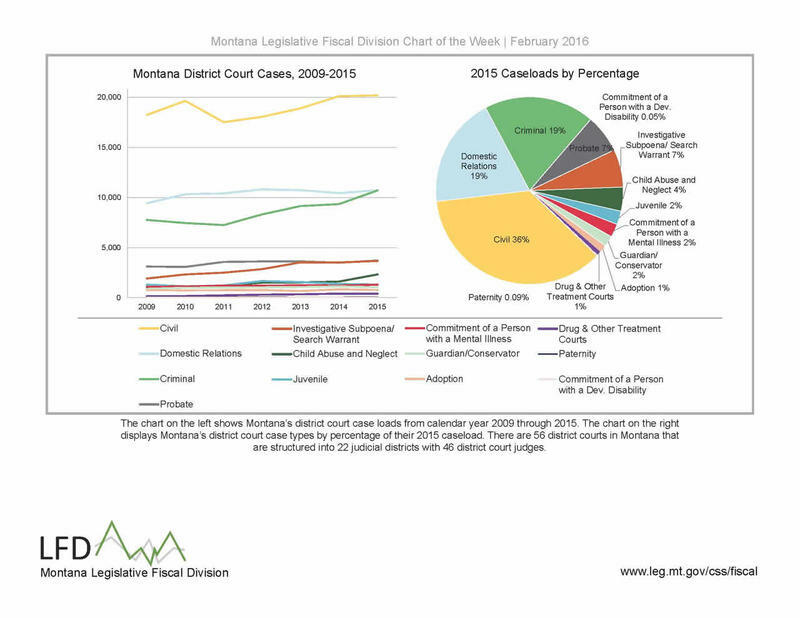 Some years back an epidemic of methamphetamine swept into Montana. The community rallied with legislation, law enforcement, and education. Meth use seemed to decline. But it’s back — in spades. Detective Sergeant Danny David of the Missouri River Drug Task Force, and Melinda Reed of The Friendship Center join Brian Kahn on this episode of "Home Ground Radio". 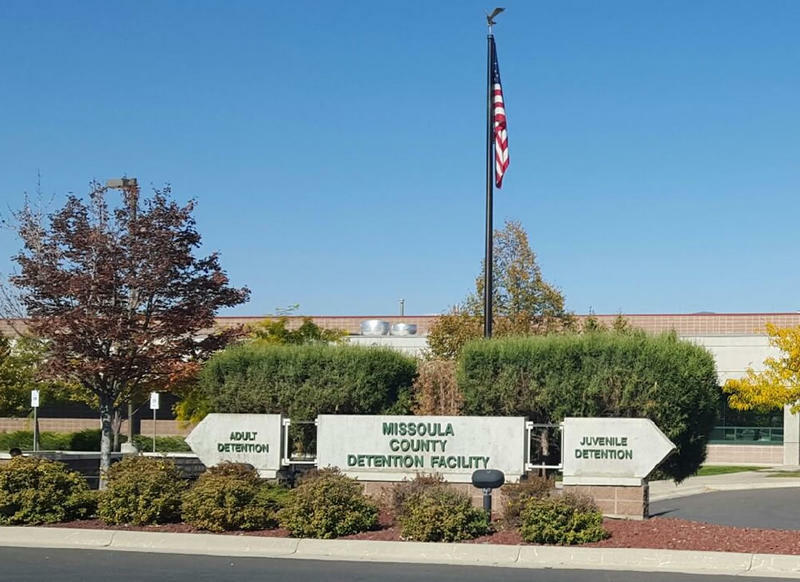 Missoula city and county leaders want to know what the public thinks about their ideas reduce the county’s jail population. 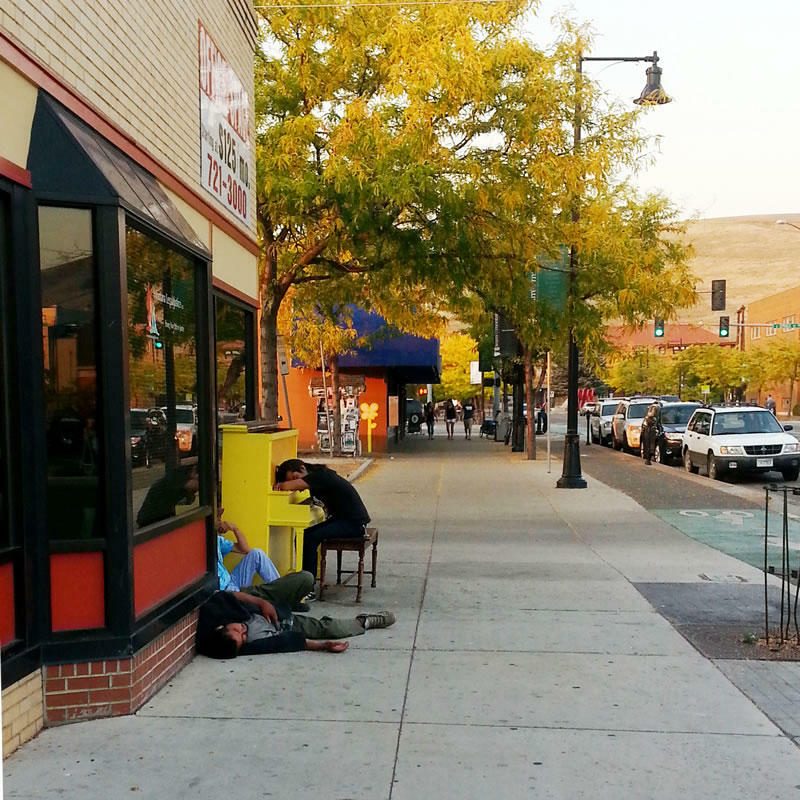 The Senate Judiciary Committee unanimously voted to give local governments the ability to adopt and enforce a public intoxication law. Supporters of the bill say the intent of the bill is to get help for people who have frequent contact with law enforcement or other first responders.